Midlife adaptions so you can look after your ageing parent. | Great Guidelines for Later Life "
Midlife adaptions so you can look after your ageing parent. There is no real way to prepare for that moment when you realize you need to begin taking care of your parents. There should be a step by step guide explaining what to do – which is what Great Guidelines for Later Life aims to be – but even with a written guide, the dynamics of each family is different. No doubt life is about to change drastically for everyone effected, but this can become a wonderful time for you and your family. There are some situations when it is very clear about the need to become a caregiver. While sometimes becoming a caregiver occurs over an extended time. This is how it happened for someone else. This is her story… how would you have reacted? My mother was diagnosed with COPD, Chronic Obstructive Pulmonary Disease, in 1997, but I did not consider myself one of her caregivers until 2010. I took her to doctor appointments and fussed over her needs many years before, but I did not see myself as an active caregiver. In the early Spring of 2010, she moved in with my husband and I after being hospitalised for almost a month. She spent almost three weeks in the ICU and a little over a week on a ventilator. This was one of those clear moments that we knew the need and could make a very easy decision. Leading up to that stay in the hospital were years of declining health. There were times that I wondered what my role would be for her. Would my dad be physically able to care for her as her disease progressed? Would I be able to juggle everything in my life and care for her as well? You may have plenty of money but not be thinking about the emotional side, or you may have the relationship covered but be low on finances. However, I must say that caring for someone you love speaks volumes more than words ever will. When the time comes for you to make a decision about caring for your parents or your caregiver when you were little, remember that their greatest desire is not to need you to care for them. It is their greatest desire that you would never need to spend your days in doctor’s offices or hospital rooms, but we don’t really get to choose those kinds of things in our lives. Your loved one may be very emotional or grumpy about needing you, but if you can show love through it all, there is a greater reward than you can imagine. You will know that you showed love. There will be no regrets of wishing that you had done something to show your love. I do understand that the dynamics of a family can sometimes block the ability to be an active caregiver, and you need to understand that it is okay. You may have a wonderful relationship with one parent and barely talking to the other. It’s okay to care for that family member in a different way. Maybe your way to give back to that person is to visit and pray. This is a time in our lives that creates new challenges, and it can be particularly difficult with small children. While mom was with us during that first year, she worried that she would be in the way, and I worried that I would let her down. I was pregnant, and she was needing more than just emotional support. Honestly though, I would not trade any of that time with her for all the money in the world. Becoming at Mummy at midlife lands many of us in that tough time of caring for our ageing parents while caring for our young children. You are not alone. With a little organisation and help, you can do it. Just let your love be the fuel for your day, even more than before. Mrs Jones (name and place changed for privacy) was managing a nonprofit agency five years ago when her mother became seriously ill with heart problems. She promptly left her job to care for her, a task that has consumed her ever since. Mrs Jones, 53, set aside her career aspirations, drained her savings account and eventually sold her gold jewellery to help make ends meet while shuttling her mother, who is 85, to doctors’ appointments and running errands. “I always felt like I can find another job eventually — but I only have one mother,” she said. Mrs Jones is part of a small but economically significant group that is bucking a powerful decades-long movement of women of all ages into the labour market. In the years since the last recession began, many women like her, in their late 40’s and early 50’s, have left the work force just as they were reaching their peak earning years. The demands on middle-aged women to care for their parents, particularly during difficult economic times that force many families to share resources, are not the only reason for the shift. Some economists also attribute the unexpected phenomenon to extensive budget cuts by state and local governments, which employ women in large numbers and were hit harder during this recession than in previous downturns. As the economy struggles to get back on track, the labour participation rate remains feeble for almost everyone. Still, the losses affecting this group of women — who normally would be in the prime of their careers — stand out from the crowd and highlight the challenges facing middle-aged workers who, for whatever reason, find themselves out of a job. Since the start of the recession, the number of working women 45 to 54 has dropped more than 3.5 percent. There are now about one million fewer women of that age in the labour force than at their peak at the end of 2009. For younger women the rate of decline was about 2 percent — and many of those in their 20’s dropped out to return to school or left the work force temporarily to focus on caring for young children. Men, too, have been pushed out of the labour market as jobs in the construction and manufacturing industries have been slow to return. But the rate of decline among adult men has largely tracked the curves of the economy and has been spread more evenly across ages. After a long period in which women moved actively into the work force, the job participation of women has dropped sharply in recent years, particularly among the middle-aged. The fact that more elderly people are living longer may be behind many middle-aged women’s decision to stop working. Most employers do not offer flexible schedules for workers caring for elderly family members. And increasingly, women in their 40’s and 50’s are sandwiched between caring for ageing parents and their own dependent children, including young adults still living at home. Do YOU recognise yourself in this situation?? A Pew Research Center survey conducted in October 2013 reported that 27 percent of the women surveyed had quit their job to care for a child or family member. “It saves a lot of money but there’s a huge personal sacrifice,” said Jeannie Brown, 49, who left her job as an accounting clerk for local government in 2009 to care for her disabled granddaughter and her mother, who had a stroke. The toll that caregiving takes is more than financial. Researchers say depression and anxiety are common among women who care for an older relative. The decline in public employment also appears to have played a major role in the exodus of middle-aged working women. Between September 2008 and April of this year, 640,000 state and local government workers lost their jobs, according to Labour Department data. Almost half were in education, an industry where a typical employee is a woman in her 40’s. Denice Sharpe was laid off and went to culinary school, hoping to start her own business. “I tell you, I really thought I had the job in a lot of cases, and it didn’t happen,” Ms. White, 56, said. In 2012 she accepted a temporary teaching position for one semester. When that job ended, she started firing off résumés again. “No nibbles in over a year,” she said. She picked up a few tutoring jobs to help pay her bills, but a few weeks ago Ms. White abandoned her search. She signed up for computer technology classes in hopes of finding a job in a new field. Some economists think jobs for women in education and other fields will come back eventually, assuming the economy picks up steam and government budgets improve. The dropout trend is “interesting and potentially disturbing but it may be transitory,” said Claudia Goldin, a Harvard University labour economist and expert on women and the economy. By contrast, Ms. Goldin noted, the participation rate for women 55 and over increased in the years after the recession, suggesting that many older women are eager to keep working as long as they can. For women laid off after having settled into a career, the hurdles, both real and imagined, can be significant, according to job counsellors. Middle age is a fragile time, they say, and older women often lack the confidence of younger women when forced to look for a new job. They also face the challenges of all older workers: Employers may view them as too expensive, overqualified or out of touch with the changing demands of the workplace. Denice Sharpe, 51, was laid off from her information technology job in Durham, N.C., in September 2008, the same month Lehman Brothers collapsed. 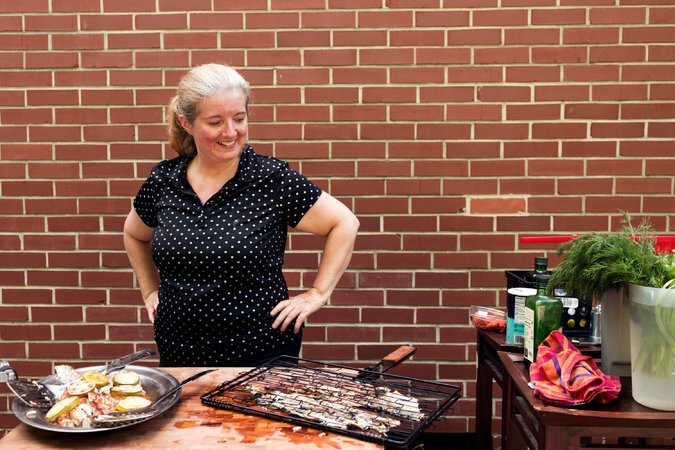 In 2012, she finally gave up looking in her field and enrolled in culinary school. She is hoping to start a business creating a line of low-carbohydrate fresh food. Are YOU in this squeezed group? Trying to manage one or more ageing parents and your own children, plus your own job and life as well? It’s really NOT easy is it? This is why the Great Guidelines programme has been put together – to help busy ladies create an order and system at least with regards to their seniors and their own lives that will ultimately create a lot more space, time and relatedness which continues as things go on. It really is a win-win for everyone! You don’t need to be frazzled anymore! To find out more about the main course or even just the smaller Freedom at the End of Life module please go to this page on the website and be reassured. © Great Guidelines for Later Life. All Rights Reserved. Originally published by the New York Times.